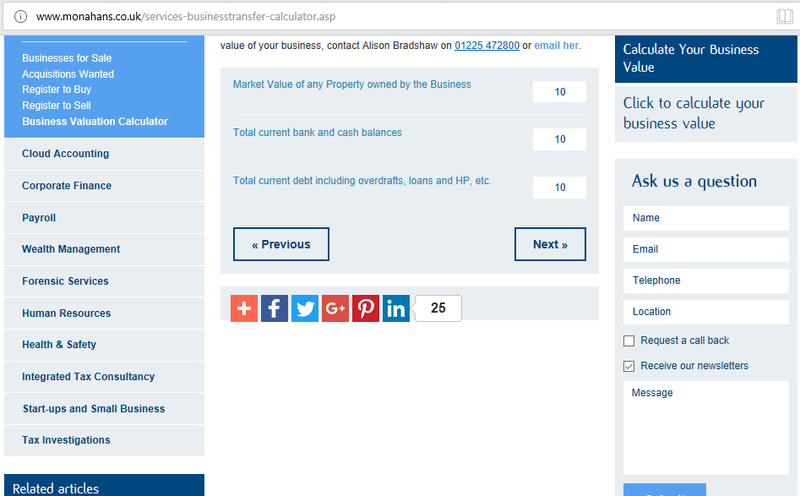 MHA Monahans has developed a web-based business valuation calculator to help business owners to estimate the value of their business. Its free to use and it provides valuation estimate based on few straight forward questions and recent accounts and income details. 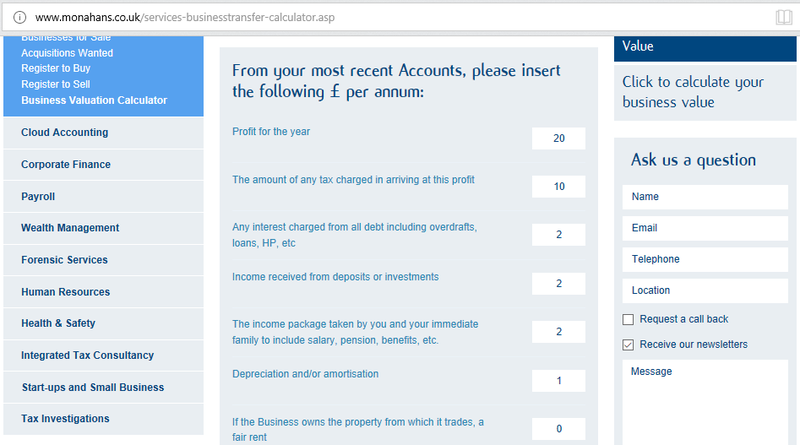 First, enter the basic numerical information from the most recent accounts, including profit, taxes and depreciation and/or amortisation. After inputting your accounting information, you will be asked some basic questions regarding to your management and customer base. 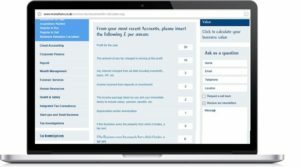 And then few questions about your assets and liabilities. 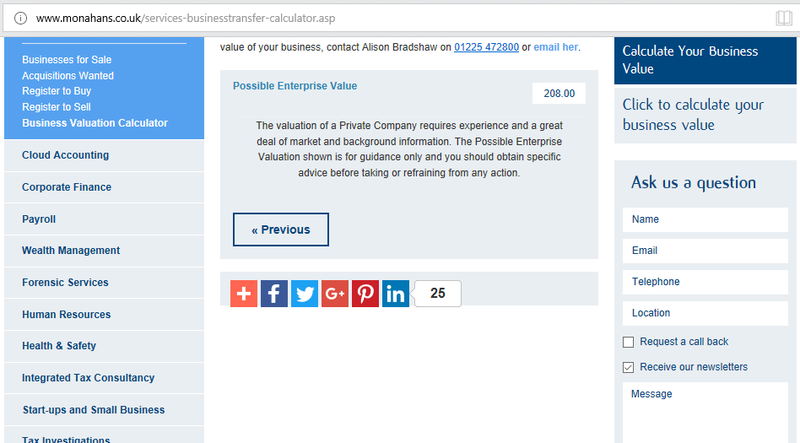 Finally, the tool gives you and estimate of your Enterprise Value.